allround geek: The value of Internet in the world of tomorrow. The value of Internet in the world of tomorrow. Due the nature of my job I am in front of a computer screen at least half of my day. At home I continue to be in front of a screen for recreational reasons many days of the week. Internet is my primary source for news, communication and entertainment. During the past days I was pleasantly surprised by rediscovering the true value of information and the power of communication through the Internet. Last week started in Greece, what can only be described as, a revolt with riots spreading to the whole country minutes after the murder of a 15 year old boy from a special unit policeman in Athens. The shooting was only the tip of the iceberg against an unfair system, against police brutality against a dead end, many young people see in front of them, caused by unemployment, an economic crisis where billions are given to banks instead of those in need and an incompetent conservative government. After many days of riots and a public outcry against the government with much playtime on the news, talk shows etc, suddenly the TV and radio stopped most of the broadcasting of riot related news, stopped the related talk shows and generally toned down the whole thing. Television continued playing their garbage shows, trash news and lame TV series. 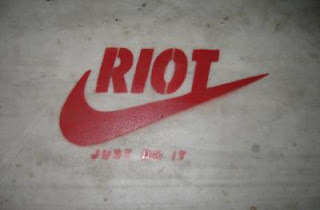 After a day I read in the newspaper that the state-run Television and Radio Comity prohibited the TV channels to broadcast riot videos and instructed them to tone d own the news on the riots. 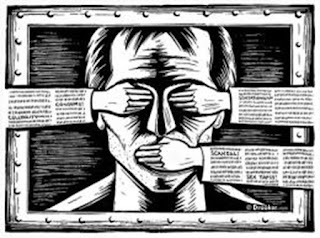 A failing government had censored the news so that the public will loose interest in revolting against the government feeling the thing is blowing off. These days the Internet plays a very significant role. Many people, including myself, are informed about the news by other means. These means include Internet news groups, independent news sites, and collaborative groups that report on whats happening on their city or country such as Indymedia (which spans over many countries). Many people where mobilized using the Internet. Many movements set up a blog to inform other people about their intentions and declarations. People rally other groups of like minded people through Facebook. An amazing thing happened. I was using Internet in my everyday life as a power user, but I never actually saw its potential work. I did now. It gives people voice and enables other people to hear what they have to say. It is a tool for a truly democratic society where people do not need a state or any other organization to self-organize, to mobilize, to get informed or to get heard. This is the power of Internet. That is why governments around the world have started experimenting with ways of censoring the Internet. Some countries have even prevented poeple from using certain services such as youtube. We have to prevent that from happening. They have taken away television and radio which have long before sold out. Now, they will try to take away our most powerful tool today. We should not let that happen.